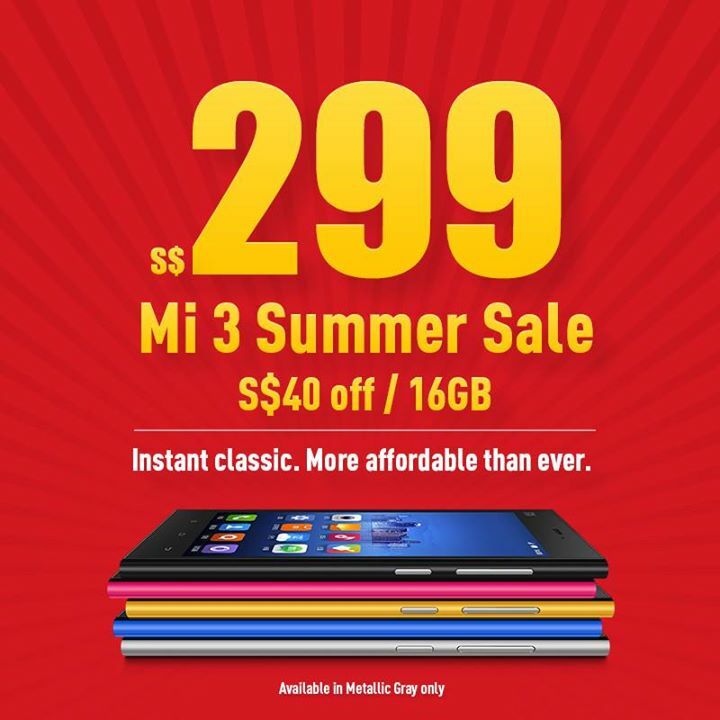 The Xiaomi MI3 is cheaper by RM120 or SGD $40 and will be on sale at tomorrow Noon ( 17-06-2014) on the Xiaomi portal. It will be priced at RM $769 and SGD 299. According to the Facebook Site. The Malaysia Xiaomi portal will have 7,000 Sets for sale. This is part of the New China Phone Wave. Where by more Value for money, Good Specs and updated OS Smartphones are coming to the Asian Markets and the world. Competiting with the dominant International brands. And actually offer better value to consumer. 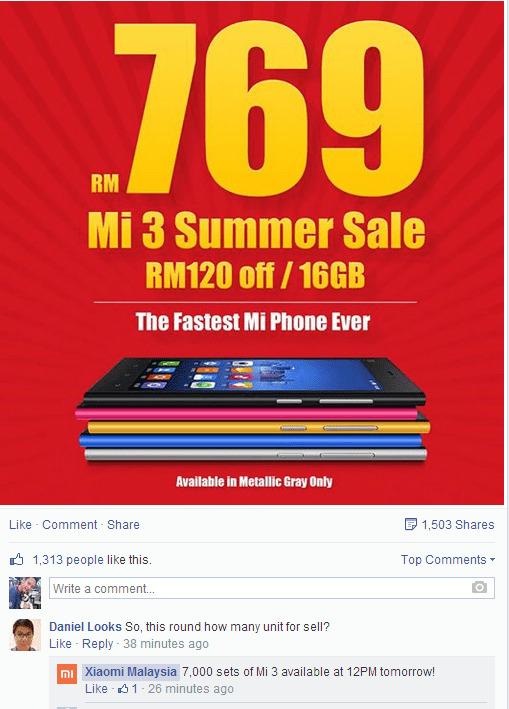 For more info go to the Xiaomi Malaysia and Xiaomi Singapore FB pages. This entry was posted in Technology and tagged android, mi3, miui, smartphone, xiaomi by MrAdrian. Bookmark the permalink.